Who says you can’t look incredibly badass while saving the universe? 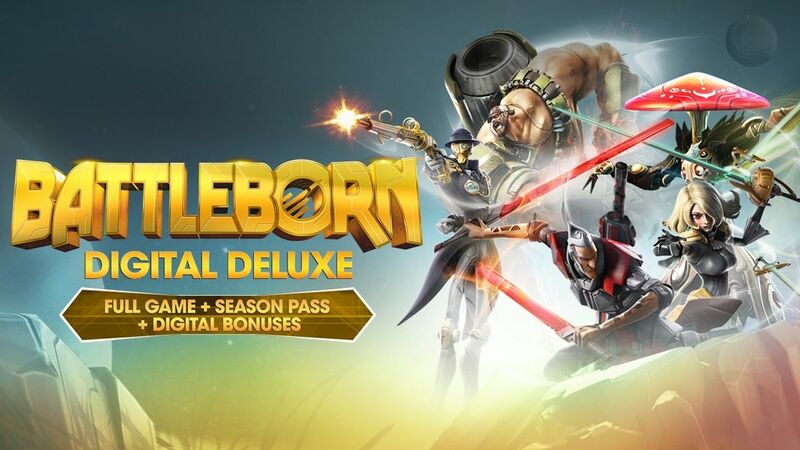 Don new skins, taunts, and more digital bonuses when you purchase the Battleborn Digital Deluxe Edition! Battleborn Digital Deluxe Edition is now available for pre-order on PS4, PC, and Xbox One! 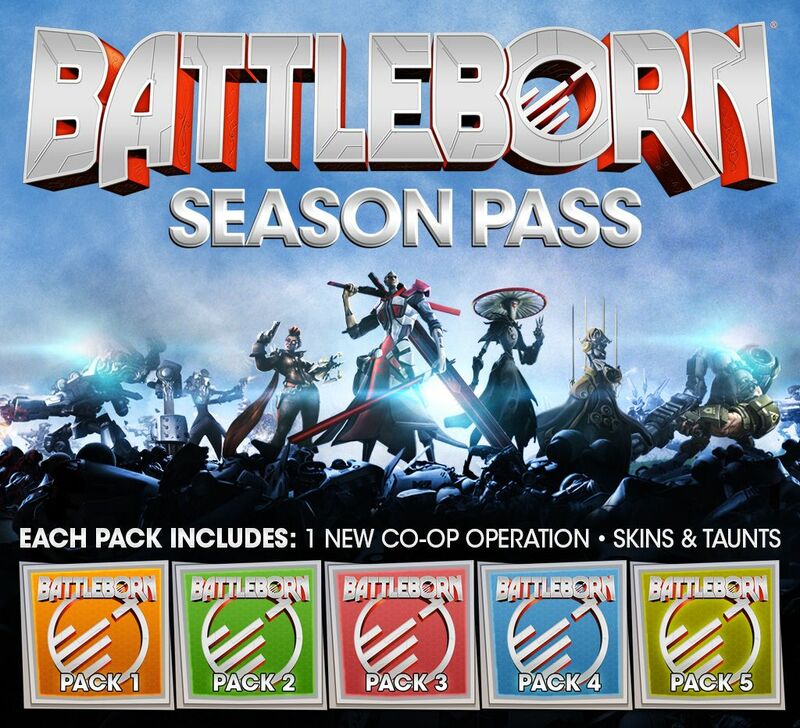 Get all five Battleborn DLC packs and five keys to unlock heroes 26-30 once they are released with the Season Pass! Each DLC pack includes a brand new Story Mode Operation, one hero key, and additional unlockable skins and taunts. New Battleborn content doesn’t end there! 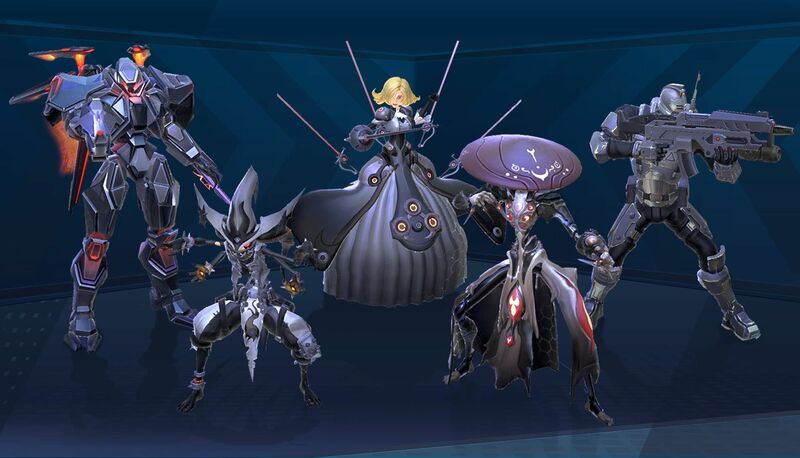 2K and Gearbox plan to support Battleborn post-launch with free content updates that include five new playable heroes, bringing the total roster to 30, and additional competitive multiplayer modes, maps, balance updates and community features. Price: Season Pass is $19.99 USD for all five DLC packs, saving $4.95 if DLC packs are purchased separately. All that glitters is gold… Battleborn skins, that is! 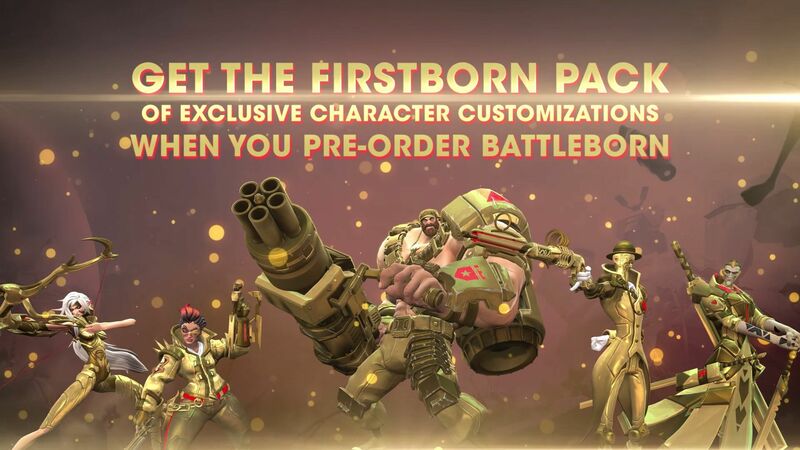 Pre-ordering Battleborn on any platform, from any retailer, also nets you the Firstborn Pack with five FREE golden hero skins for Thorn, Reyna, Montana, Marquis, and Rath.